The first step in buying a home is pre-qualification for financing. Pre-qualification is not a full mortgage approval, but a basic estimate of what you can afford in a home loan. Along with the down payment available to you, the loan amount will determine what price range will work for you. Pre-qualification is sometimes confused with pre-approval, which is a more comprehensive analysis and commitment of a loan program for a buyer. 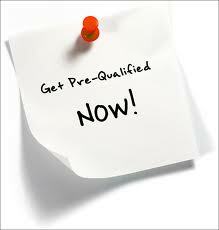 Pre-qualifying helps you identify and resolve any issues you may encounter in your application. Securing mortgage financing is an important step in the real estate purchase process and there are lots of options – from variable to fixed and interest rates constantly changing. It’s very important to explore and find the fit that’s right for you. Check with your Pacific West Real Estate The Gamero Group real estate agent – they’ll be happy to suggest one or more lenders who offer mortgage loans at competitive rates. 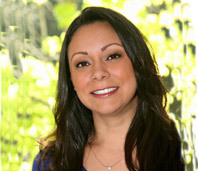 Often you can be pre-qualified for your mortgage loan even before you begin to look for a home! Doing this will prompt sellers to take your offer more seriously because you have a lender that is committed to backing your offer. Getting pre-qualified requires that a lender verify your financial information. It serves as their commitment to lend a specified amount based on that information. Your efforts and your REALTOR’s efforts will be focused on properties that match your purchasing ability. You’ll have the edge over buyers who aren’t approved when multiple offers arrive on a property. This can make the difference between having your offer accepted or losing the property to a qualified buyer.